Generally everybody interested to upgrade their PC and laptop with latest version. Right now in the market windows 10 is the latest version. Everybody are waiting for that windows 10 full version. If you want to install Windows 10 instead of just upgrading your system, you can follow our new and updated guide to clean installing Windows 10. We definitely recommend going that route. 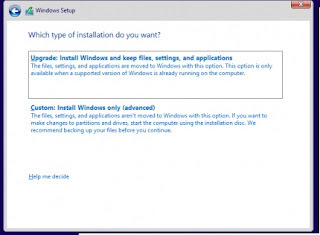 Before you decide to upgrade your computer (system), you might want to decide whether or not you want to install Windows 10. It is not necessarily right for everybody — there are still bugs and issues in this version, and we really recommend that people hold off for some time. First time you should not install Windows 10 on your primary PC. 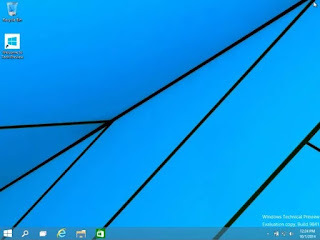 Use a test computer or a virtual machine through VMware. If you absolutely must install Windows 10 on your regular PC, we highly recommend creating a system image of your entire computer in case you want to easily revert back. You want to use old version. If you haven’t installed Windows 10 on your computer before, you’ll have to perform an upgrade first before you can clean install. If this doesn’t make any sense, that’s because MS (Micro Soft) never makes licensing easy, even when there’s a free version. Once you’ve performed the upgrade and activated your Windows 10 upgrade on a system, MS (Micro Soft) will associate your unique hardware ID with an activated Windows 10 license, and you can reinstall as you see fit. But not until you’ve upgraded Windows 7 or 8 to Windows 10 and then activated. Just keep in mind that Windows 10 is only provided for free as an upgrade. You can’t clean install it, there are no keys at this point. Unless you use our clean install workaround. 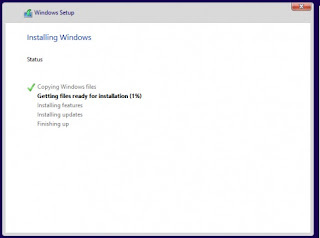 Step - 1: First download the Windows 10 ISO image from Microsoft’s web site. 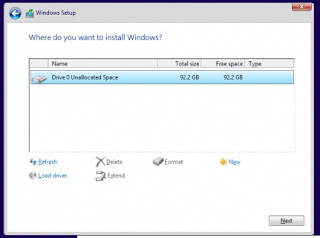 Alternatively you can download the web installer from the same page and just choose to upgrade your PC, which is the easiest option. 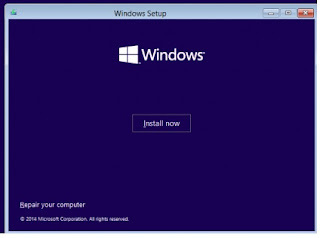 Step - 2: If you are installing on a regular Computer with Windows already on it, you’ll be prompted immediately to start the upgrade process. Alternatively, you can burn it to an optical disk or create a bootable USB flash drive. Otherwise, just attach the ISO image using the virtual machine software of your choice (assuming your virtual machine already has Windows 7 or 8 installed). Step - 3: Install it mostly by clicking the Next button, making sure to choose Upgrade when prompted. If you want to clean install, follow our clean install instructions instead. Note: Now that Windows 10 is released, you’re going to need a valid Windows license key for 7, 8, or 8.1 in order to perform the upgrade. For posterity, here are all of the installation steps if you’re booting from a flash drive, although you could just remember the word “Next” and get through it fine. Just remember to choose Upgrade when prompted unless you’ve previously upgraded and activated Windows 10 on this computer. Click Next and you will be taken to the Install now button screen see below. Which obviously you should click. 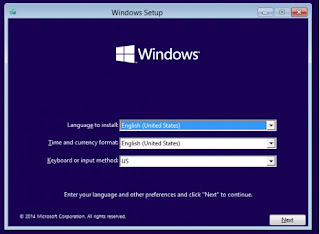 At this point you can choose whether you want to upgrade Windows or install a new custom install. Since we are recommending that everybody install into a virtual machine or on a test computer, you should select custom here. Update: You should probably choose to Upgrade the first time, because the license key might not work otherwise. 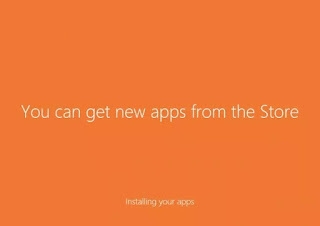 At this point you’ll need to pick where to install Windows 10. You might need to delete or create a partition, but if you are using a virtual machine, you can just click Next button. Once the computer reboots again, you will be able to select the settings like whether Windows Updates are enabled (they aren’t allowed to be disabled in the preview). 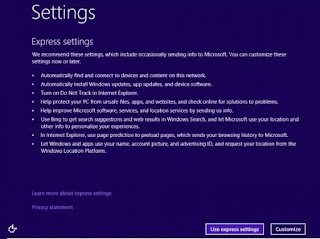 We’d recommend just using the express settings if you are using a test machine — use Custom if you’re really going to use the PC. 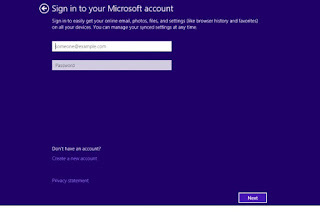 And now you can sign into your Microsoft outlook account. We would recommend using a Microsoft outlook account because otherwise you won’t be able to use half of the new features and you may as well use Linux or stick with Windows 7. If you have setup your account properly you will probably be asked to verify it in the middle. We excluded those steps from this article, but they are pretty simple. Now you will be asked how to setup the computer. 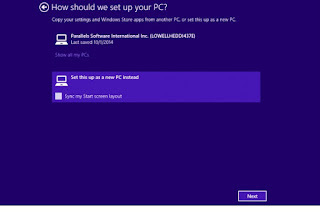 Since we wanted to test everything as a new PC, we chose to set it up as a new computer instead, but you could copy all your settings from another computer if you wanted to. 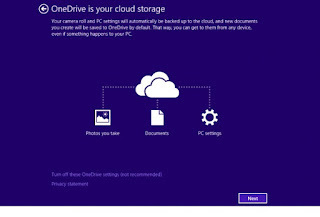 You want to use OneDrive? It’s nicely integrated into Windows, so we just left it alone. And now a colorful screen that tells us things are happening. And finally, we are at the desktop! Note that the desktop on the full release of Windows 10 looks different and this screenshot came from a pre-release version. Now click that Start button. Click it. You know you want to. Enjoy it. Windows 7 Universal Product key..! Windows 8 Universal Product key..! Forgot my pc password windows 7 without any software...! !